This article on the Currency Act in Colonial America provides fast facts and information about the effects of these laws. The definition and purpose of the 1764 Currency Act and the cry of "No taxation without representation!" The Meaning and Definition of the Currency Act: The Currency Act of 1764 was a British Law, passed by the Parliament of Great Britain on September 1, 1764, that was designed to control the colonial currency system. The act prohibited the issue of any new 'Bills of Credit' and the re-issue of existing currency by the American colonists in the 13 Colonies. The Currency Act is the name of several acts of Parliament that regulated paper money issued by the colonies of America. The background to the Currency Act of 1751 dated back to the series of French Indian Wars. 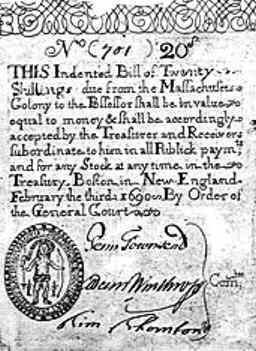 The colonies of New England had issued paper money known as "bills of credit" via the by colonial legislatures, which were backed by tax revenue, to help pay for military expenses during the French and Indian Wars. "Bills of Credit" were issued to pay for military emergencies, or were authorized to build or repair public works but in many cases it also filled the void caused by shortages of gold and silver coins. More paper money was issued than was recuperated in taxes. This resulted in the colonial paper money depreciating in value. Merchants in Great Britain were forced to accept the depreciated currency from colonists for payment of debts. The Bills of Credit caused confusion as there was no standard value common to all of the colonies. 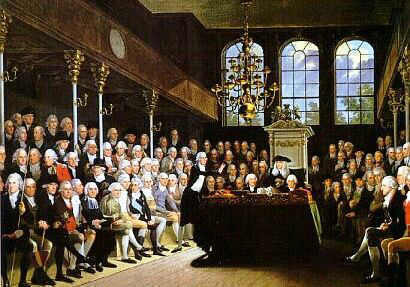 The Currency Act of 1751 was therefore passed to limit the colonies printing their bills of credit. The Act of 1751 allowed the existing bills of credit to be used as legal tender for public debts (paying taxes), but banned their use for paying private debts (paying merchants). 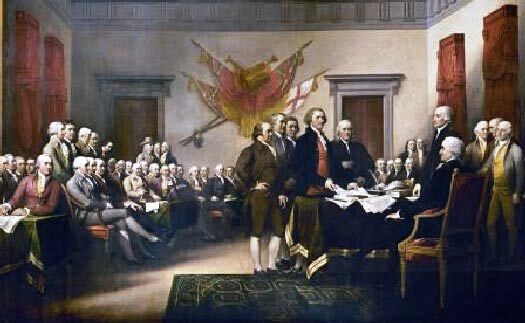 The English policy of Salutary Neglect that was in effect from 1607-1763 was a long-standing British Policy in the 13 colonies which allowed the colonists to flout, or violate, the laws associated with trade. However, the British government was far more vigilant when overseeing matters concerning merchants who were based in Great Britain. There concerns were with issues involving contracts, debts, and the rates of currency exchange. Their concern regarding these matters led to the Currency Act Act of 1764. 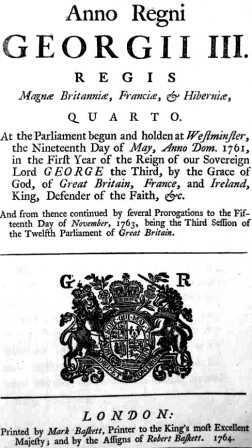 The Currency Act of 1764 therefore prohibited the issue of any new 'Bills of Credit' and the re-issue of existing currency by the American colonists. The colonies suffered a constant shortage of 'hard currency' (silver and gold) with which to conduct trade. There were no gold or silver mines in the American colonies. Silver and gold coins (hard currency) could only be obtained through trade as regulated by Great Britain. British Acts effectively stopped trade between the colonies with French, Dutch, and Spanish in the West Indies. Triangular Trade, coupled with the policy of Mercantilism, provided a “favorable balance of trade” for Great Britain but an "imbalance of trade" in the colonies resulting in a massive trade deficit. The trade deficit was a direct result of the British policy of Mercantilism and its use of the Triangular trade routes. The result of this caused the colonies to suffer a chronic shortage of funds. The Currency Act threatened to destabilize the entire colonial economy of New England, the Middle Colonies and the Southern colonies. The industrial areas in the North and agricultural areas in the South united against the Currency Act. Discover interesting facts and information about the Taxes in the 13 Colonies, including the Currency Act, which was imposed on the colonists of Colonial America by the British government via parliament. The Currency Act was one of a series of taxes that divided Great Britain and its colonies in America.